Offering you a complete choice of products which include vacuum chambers and static hood sampler. 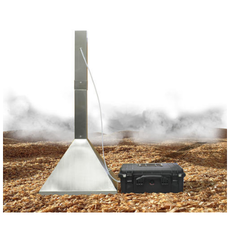 The Scentroid Vacuum Chambers are easy to use, portable, and cost-effective air sample collection devices. Vacuum chambers are used to pull samples directly without dilution from stack, ambient air, or other sampling devices such as flux chamber or wind tunnel. The Scentroid vacuum chambers, air sampling box, come in multiple sizes to fit bags of up to 10L, 25L, and even 50L. Use the Scentroid Vacuum Chambers for soil gas sampling, groundwater testing, stack sampling, hazmat testing, and U.S. EPA Methods 18 and 0040 and ventilation studies. Scentroid Vacuum Chambers, bag sampling box, Designed for Scentroid PTFE sample bags. The Scentroid Static Hood sampler provides an easy to use and contaminate-free solution for taking air samples from bio-filter beds and other surfaces that have a positive air flow. The all stainless steel construction ensures easy decontamination. The stack disassembles for ease of transportation. 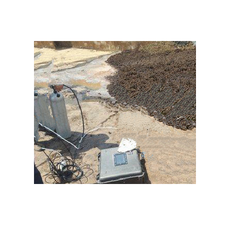 Looking for Environmental Monitoring ?